Sandvik 12C27 stainless Steel Fishing Knife. A 127mm (5") blade with a scale scraper on the spine. A Black ergonomic handle. 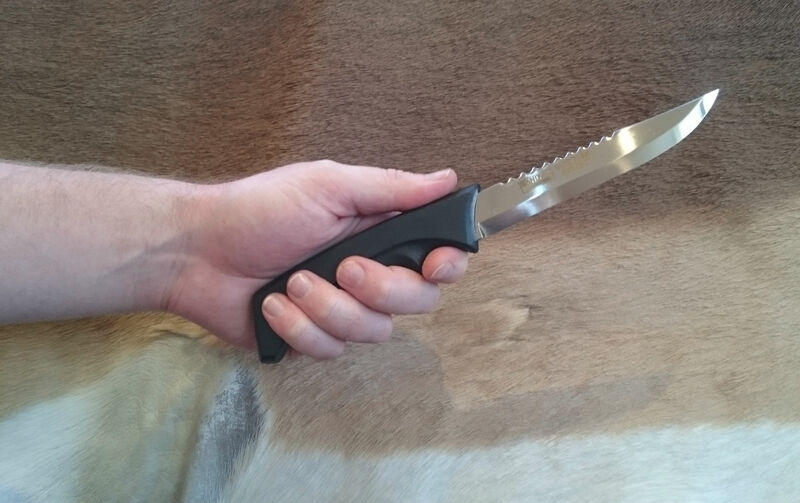 Comes with a BLACK LEATHER sheath with a plastic insert.